Under the category of “I told you so”, a political contact, Jatto Abdulqudir, of who I dubbed Patient Zero, Patrick Sawyer, has died. I had previously expressed the fear that Sawyer’s boarding of two airplanes with multiple connecting flights raised the likelihood that hundreds of thousands would be exposed on the same day to the Ebola virus . This one fact represents an emerging picture which serves to demonstrate that the Ebola containment efforts are failing miserably and we are in the beginning of an emerging pandemic. Further, this article will make it clear that health officials ranging from the World Health Organization to the CDC are negligent in their duty to protect the public in the midst of this Ebola outbreak. 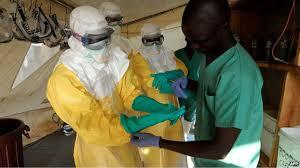 Since the worst Ebola outbreak in history first emerged in March in West Africa, 1,013 have died. Among the dead are 81 of 170 heath care workers who have been infected. These statistics are the latest figures according to statistics just released by the World Health Organization. Approximately 8% of Ebola’s victims, in West Africa, are medical personnel who were tasked with the treatment of the virus. The ratio of medical personnel to the general population who died from Ebola is astronomical and a cause for extreme alarm. Some will say that the seven West Africa nations are made up of third world countries and subsequently, their quarantine and containment procedures are primitive and this accounts for the high Ebola transmission rate to medical personnel. However, among the infected health care workers are two Americans doctors whose knowledge is not primitive and they should have been well trained on proper quarantine and containment procedures. The high infection ratio of dead patients to dead medical personnel is alarming beyond words and nobody is talking about this in the mainstream media. The high rates of medical personnel contracting Ebola has sent a shockwave of panic through West Africa as several of Sierra Leone’s frightened nurses have walked off the job and the medical units fighting Ebola have been profoundly crippled. In applying the lens of common sense, we should be asking “When a healthcare worker who gets sick and dies, won’t that lead to even more fear on the part of other healthcare workers and their survival instincts takeover and walk off the job? 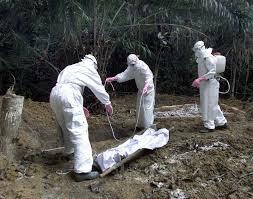 Why would America be any different when an Ebola outbreak occurs in this country”? The World Health Organization (WHO) has announced that it is perfectly “ethical” for unapproved and largely untested vaccines to be used in the treatment of Ebola. If WHO is correct, then why are U.S. taxpayers paying out billions of dollars to support the FDA and the CDC and their “safety” testing procedures? 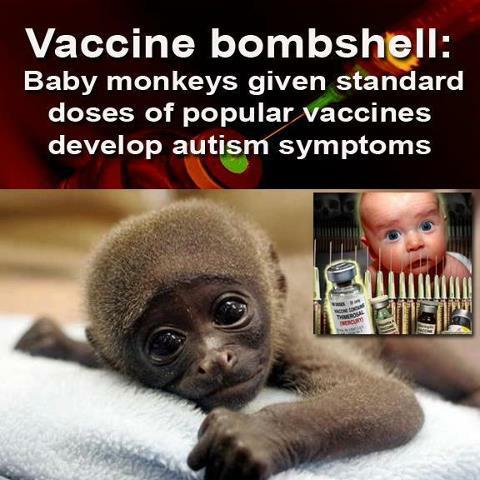 Recently, I wrote an article which stated that it was becoming my professional opinion that we had more to fear from the new generation of hastily prepared vaccines than we did from the Ebola itself. That fear is becoming realized with the recent WHO announcement that essentially is telling the public that all safety protocols are now being ignored with regard to the release of these voodoo vaccines brought to you be Monsanto (Texmira) and GSK. If we lift the covers up and take a peek, it will become evident that the real goal in this crisis is to maximize profits realized from vaccines and if the new WHO vaccine policies are willing to put lives at risk in Africa with the use of untested vaccines, then why should America be any different when it is our turn? The public should also be mindful that there is a financial incentive to make the vaccines mandatory in the near future. Again, I want to remind the readers that various law enforcement agencies, through mock drills, practiced administering mandatory vaccines during the H1N1 scare five years ago. Previously, I had reported the following with regard to vaccines, law enforcement and what probably lies in our future. During the H1n1 scare of a few years ago, we know that law enforcement officials in several states practiced a DUI roadblock kind of scenario in several states in which they were equipped with mock vaccine testing equipment to tell whether someone, or not, had been given the new vaccine against the virus. The roadblock consisted a large van for processing, a couple of buses and chase cars on the flanks to run down people who tried to avoid the checkpoint. According to my well-placed sources in Colorado, this was rehearsed over and over. These law enforcement officers were told that their families would be collected by DHS and protected in isolation against the spread of the pathogen and any resulting rioting. A highly decorated State Trooper from Kansas, Greg Evensen (Ret. 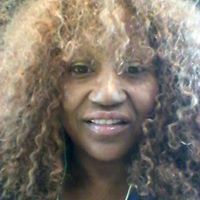 ), stated on my show that these families would be not held for safekeeping, they were to be held hostage to force the law enforcement officials to do the bidding of the powers that be. I recently contacted two of my sources in law enforcement, who beta tested the H1N1 vaccine roadblocks, to ask them if they had done any drills with regard to the outbreak of Ebola. I was told that they had not. However, one source stated that a recent DHS memo reminded the officials that they were to remain current on their containment and interdiction procedures with regard to any virulent outbreaks and the need to subsequently vaccinate the public in order to prevent the further spread of a pathogen. The sum total of what we are looking is this. The short-term goal according to my DEA source is to make money off of the vaccine. The emerging long-term goal appears to be the lockdown (i.e. martial law) the country by using fear and the natural course of Ebola spreading. Let’s not forget about the very recent case of Rebecca Scott who was forcibly discharged, under Obamacare rules, while she awaited to find out how virulent her strain of TB was. Her discharge not only put Scott at risk, but it exposed anyone who would come into contact with her. Does anyone really believe that this provision of new healthcare system will be magically suspended in the face of an Ebola crisis? Given the incubation period for Ebola, we could be weeks, possibly months away from realizing these same scenarios that the world is witnessing in places like Sierra Leone.